In short, yes it is! We weren’t instantly sold on the initial Dot/Tap devices. While they were certainly handy, in one way it seemed like Amazon was just releasing different sizes of the same device to sell more products. With Echo Dot 2nd Generation, Amazon is increasing quality and decreasing its cost. 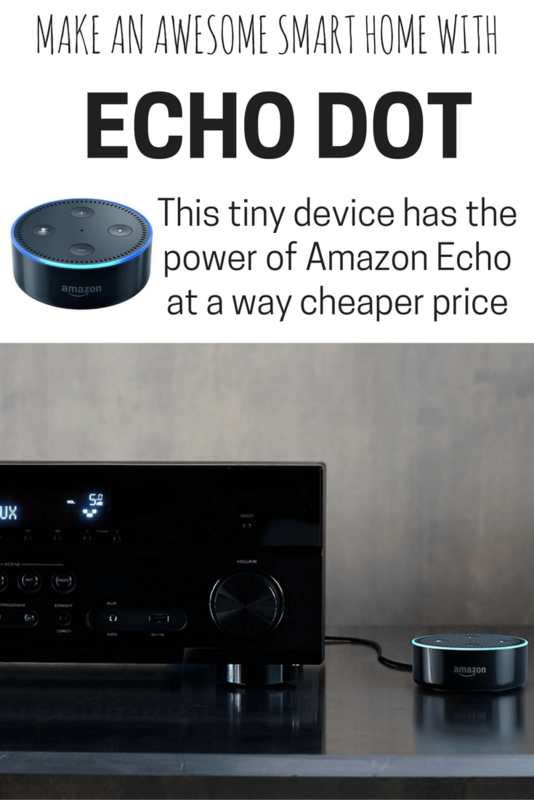 Its low price of $50 makes it an easy entry point for those who already own an Amazon Echo, or those who don’t own any smart home technology at all. But customers still have plenty of questions about the Amazon Echo Dot 2nd Generation, so let’s dive in and see if we can answer them. 1 Is Amazon Echo Dot 2nd Generation Worth It? Is Amazon Echo Dot 2nd Generation Worth It? Amazon Echo Dot 2nd Generation improves some of the big drawbacks of its first version. Doesn’t require an Amazon Echo for functionality; works on its own. This means it offers the exact same service as a full Amazon Echo, just without the full tower-style speaker. Offered at a lower price than the first version; currently listed at $50 instead of $90. 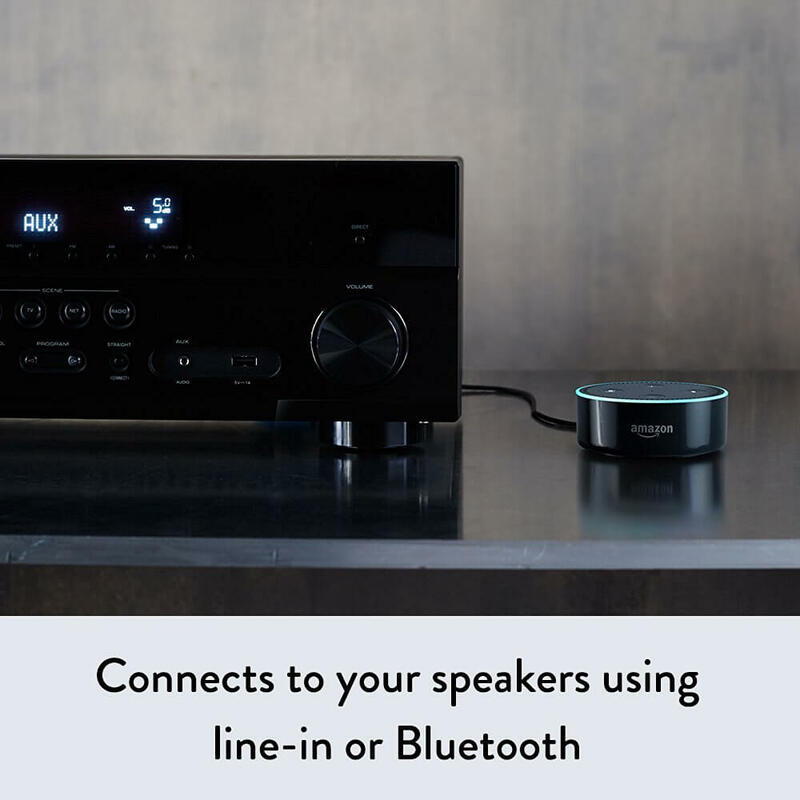 Connects to a speaker via a 3.5mm stereo cable, improving the sound quality with more advanced speakers; this addition is an improvement over Amazon Echo, which doesn’t have this feature. Can also connect to speakers via Bluetooth. Can come bundled with options like Philips Hue starter kits, Bose speakers, Ecobee3 thermostats, and others. This makes it easy to quickly integrate your new Dot with smart home devices. It also saves you a little cash if you were already planning on buying both devices. Some customers prefer an external customer and an Echo Dot to the sound quality of the original Amazon Echo. 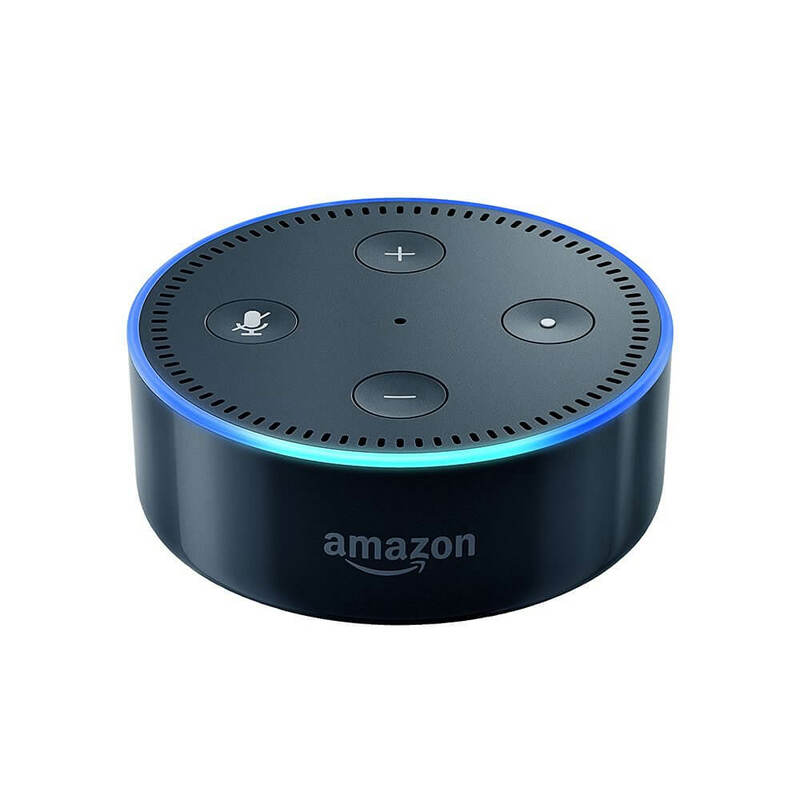 A few hardware changes, including a sleek looking white version, a smaller height than the original Echo Dot; 1.3″ tall instead of 1.5″, and volume buttons instead of a slider. Amazon is marketing these Dot devices in packs. Buy 5 and get 1 free with the code DOT6PACK. The idea is that 5 of these is just a little more expensive than an Amazon Echo, but with the Echo Dot scattered in different rooms throughout your home, it can be an assistant throughout your home. A few ideas for home integration include using Echo Dot for an alarm clock in the bedroom, listening to recipes in the kitchen, getting traffic and weather reports while you’re getting ready in the bathroom, and dimming the lights for movie mode in your family room. Uses Echo Spatial Perception (ESP) to make sure only the Echo closest to you listens and responds to your commands. That way, you don’t have 6 Echo Dot devices responding to you simultaneously across the house. ESP is coming as a software update to both the original and new Echo Dot devices. Just like Amazon Echo, this simplified version still has 7 far-field microphones so it can hear you even when you’re across the room and music is playing. Offers 90 day warranty; the first generation device had a 1-year warranty. Only one device can use specific media services at a time. For example, you cannot stream Spotify on 2 Echo Dots at once, but you can pause it in one room and resume in another, or use a different service on the other device, like Prime Music. 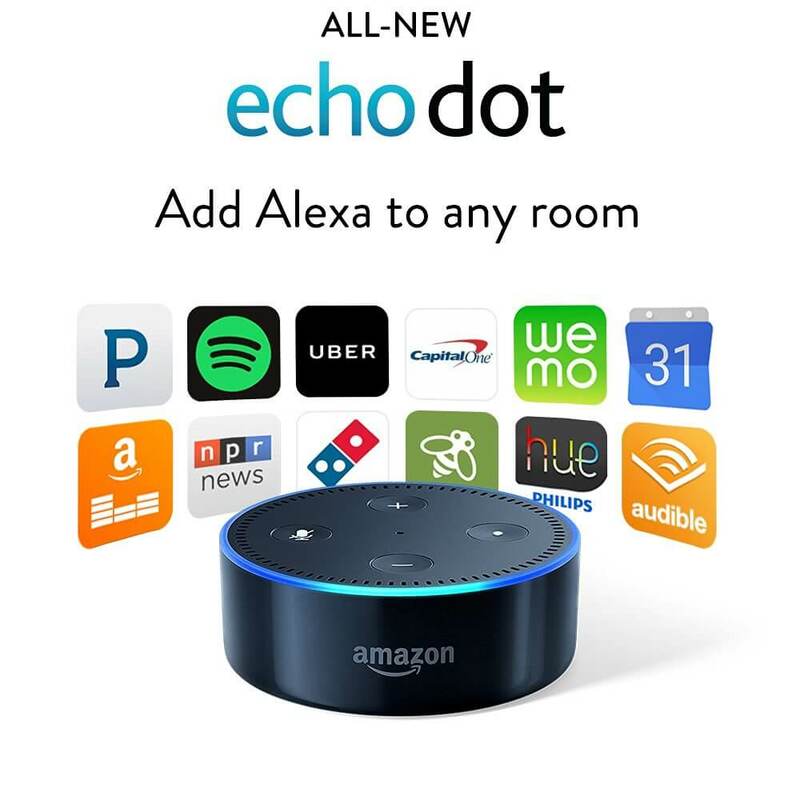 For users of the original Echo Dot, the release of this product seems a little unfair. Marketed as an “exclusive” product to Amazon Echo owners with a $10 off coupon incentive tied in, the first Echo Dot actually cost twice as much and was lacking many features of the new product. The newer version’s design has more thought put into it and is undeniably a better device. User answers to questions on the Amazon page calling the first product a “Kickstarter” version show that many people feel some frustration. “Gen 1 adopters paid twice as much for an item that was obsolete less than 2 months after receiving it,” another user commented. It appears that Amazon will offer these users a $10 coupon for the Echo Dot 2nd Generation in their emails as reconciliation. It’s all part of the growing pains with new technology, but Amazon could have treated their most loyal fans better. Is Amazon Echo Dot 2nd Generation worth it? What do you think? I already have an Echo but I’m curious as to how many dots can be connected to the same network? Great article! Ohhh good question! I just called Amazon’s customer service (since the listing doesn’t say any limits), and the representative told me that he wasn’t aware of any limits connected to the same network, and he personally knows of other customers with 20+ Dots scattered throughout their homes. I see on the listing you can order up to 25 Dots; after 25, they want to you to order via their bulk ordering system, but that doesn’t have anything to do with its network capacity. I think Amazon would let you have an unlimited number of devices. Obviously, some routers will have a limit on the number of devices that can be connected to it, so that might be where you would run into limits. Thanks for your comment, you brought up a great point!